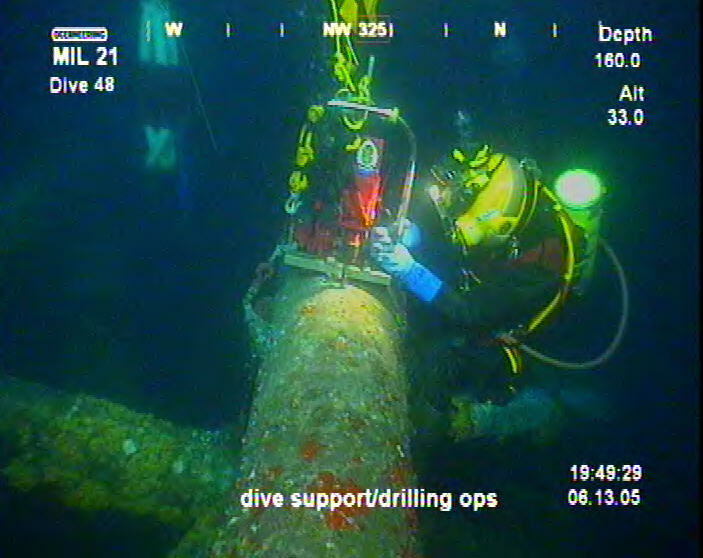 Hurricane Ivan Platform Recovery - Global Diving & Salvage, Inc. Global was contracted to perform platform recovery services after Hurricane Ivan destroyed hundreds of oil rigs in the Gulf of Mexico. 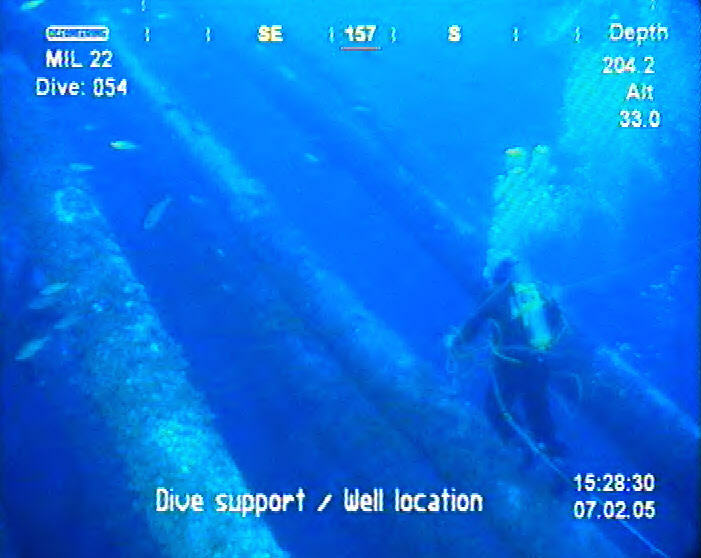 Global crews provided saturation diving services aboard the DSB BOA Deep C, a DP (Dynamically Positioned) III Vessel in the Gulf of Mexico. The project included removing existing structures, wedding caking wells, and installing wellheads. The work was performed on four different platforms, and involved installing 57 wellheads and removing 5,800 metric tons of structures. The operation involved 21 Global crew members operating 24/7 in support of around-the-clock diving activity in depths of 160-270 feet of saltwater.